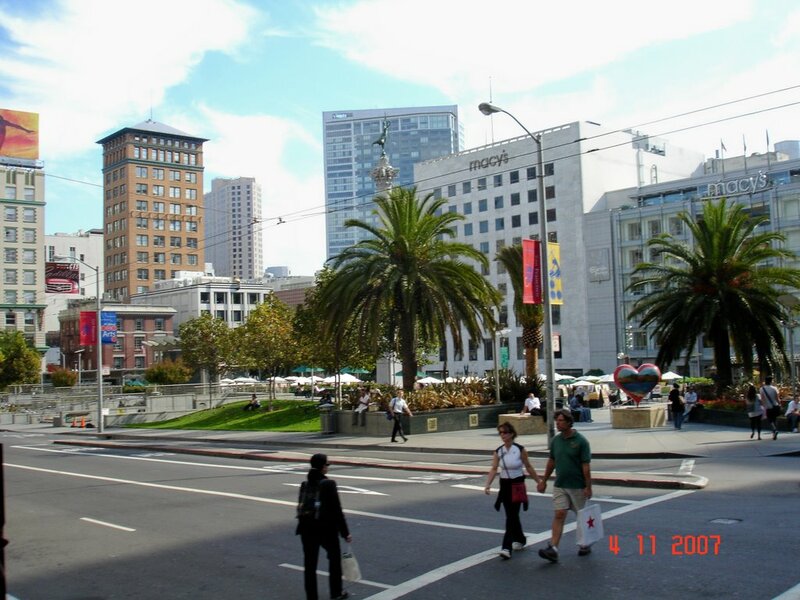 San Francisco was founded in 1776, and nearly destroyed by a fire and earthquake in 1906. Today, it is viewed as one of the most popular tourist destinations in the world. The list of reasons to enjoy a vacation in this California town is as long as the line at the Ghirardelli Ice Cream and Chocolate Shop. 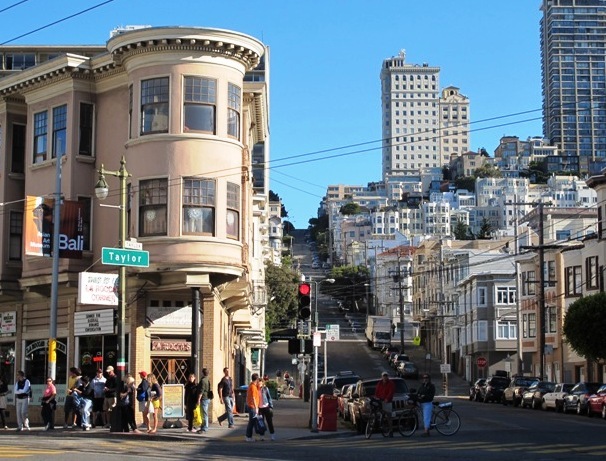 Cable Cars → The nation’s only moving National Historic Landmarks, cable cars are instantly identified with San Francisco and the hills that they have been climbing since 1873. Chinatown → The Chinatown in San Francisco is the oldest in North America and one of the largest Chinese communities outside of Asia. Golden Gate Bridge → Built during the Great Depression, the Golden Gate Bridge was once the longest suspension bridge in the world. Probably the most famous of all the San Francisco icons, the Art-Deco styling and distinctive paint make this bridge an enduring masterpiece. Painted Ladies → Located near Alamo Square, the Painted Ladies are examples of Victorian architecture that can be found throughout the city. Golden State Park → 20% bigger than Central Park in New York City, GSP is visited by 13 million tourists each year and is the former site of Kezar Stadium, the one time home of the 49ers and Raiders of the NFL. Pier 39 → Located in the Fisherman’s Wharf neighborhood, Pier 39 is a popular shopping and dining destination. It is also the seasonal home to nearly 1,500 California Sea Lions. Alcatraz → Possibly the most famous former prison in the world, Alcatraz is an island in San Francisco Bay and hosts 1.5 million visitors each year. Lombard Street → “The crookedest street in the world”, Lombard runs between Hyde and Leavenworth Streets and features a brick-lined road that is flanked by rows of hydrangeas. A pair of pro sports teams call San Francisco home. In the NFL, the San Francisco 49ers got their name from the gold miners who came to the Northern California to strike it rich during the mid 1900’s. The golden helmets that the team wears are a nod to those who made their fortune during that gold rush. (And maybe even to those who didn’t) The ‘Niners are former Super Bowl Champions and their list of former players include Joe Montana, Roger Craig and Ronnie Lott. The San Francisco Giants are a Major League Baseball team and members of the National League. The Giants play their home games in AT&T Park, which is considered to be among the most beautiful and fan friendly of all ballparks in the Majors. 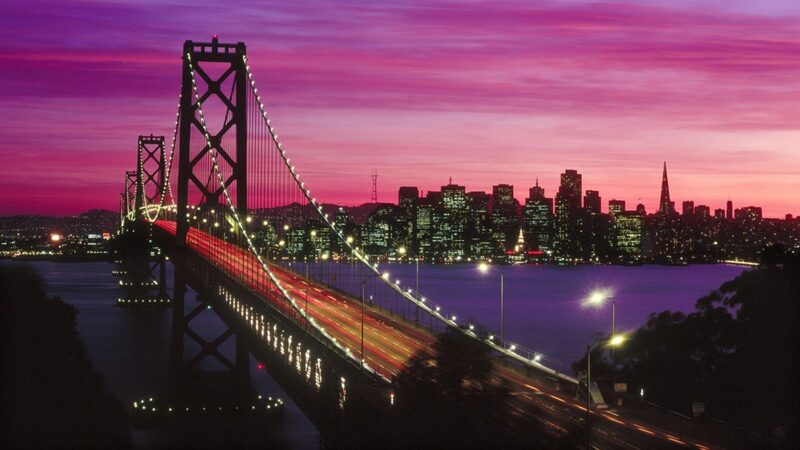 These are a few reasons to put a San Francisco vacation on the “things to do” list. From climbing the steep streets to watching the sun set on the horizon, visitors to this fabulous California town will take home a treasure trove of memories. But, as the song says, they will leave their hearts here.